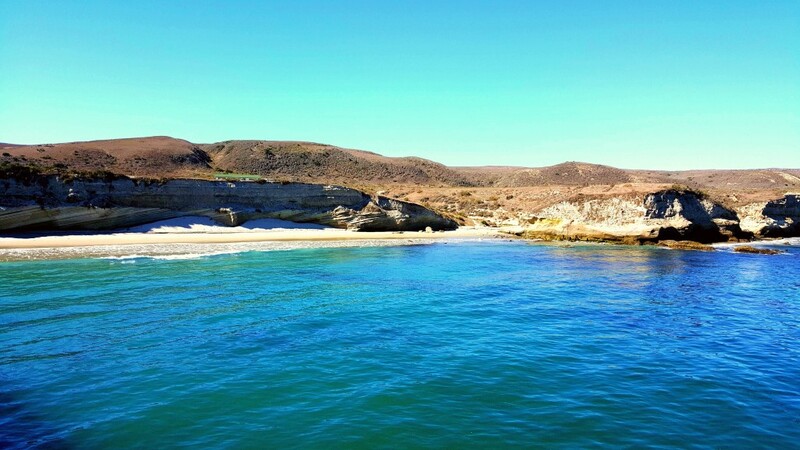 The Channel Islands National Park, a group of five islands, located 12-70 miles off the California coast. With only 300,000 visitors annually, this park is one of the least visited national parks in the U.S. The main island for day visits is Santa Cruz and Anacapa. We were looking for more of an adventure and decided to visit Santa Rosa. The Channel Islands are a year-round destination due to the warm climate in Southern California. Santa Cruz, the main island, is open all year. However, other islands including Santa Rosa is only open seasonally. 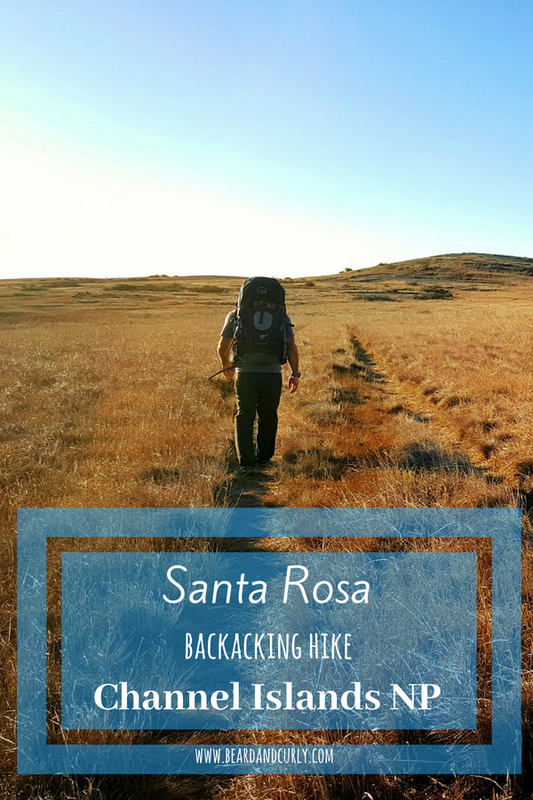 Backcountry camping on Santa Rosa is permitted between mid-August and December. The best time to visit is between September and October when there are warm days and the wind is not as strong. Island Packers Cruises is the public ferry to several of the islands. Reserve tickets at islandpackers.com. It is a one hour ferry to the island of Santa Cruz, and 2 hours 30 minutes to the island of Santa Rosa. The beauty of the Channel Islands and their backcountry camping is you can create your own unique hike. There are several trails, many of which intersect. 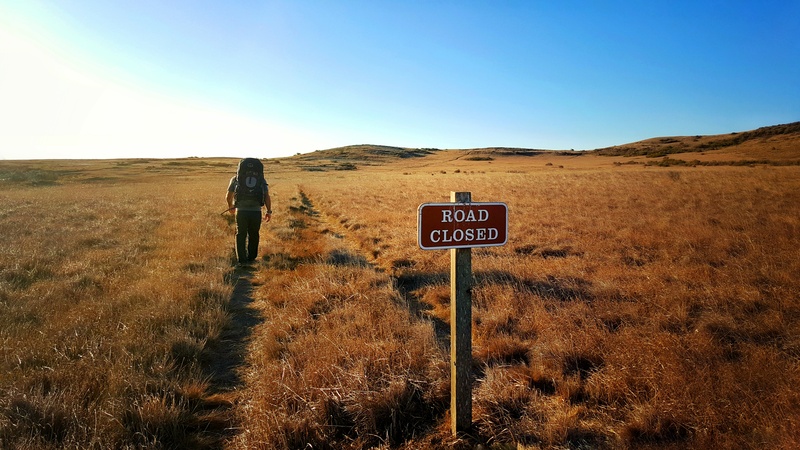 There is no defined route so set out and say goodbye to all the people at the main campground. From the boat, it is 1.5 miles from the pier to the Water Canyon Campground. Most will stop here as this is the only campground on the island. Backcountry hikers should stock up on water here. The closest beach for backcountry camping is 9 miles. 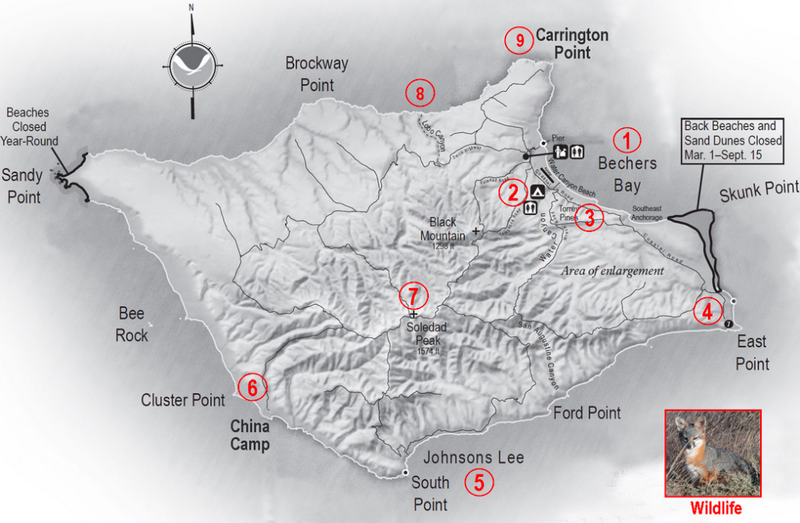 Several areas of the island are off-limits for camping due to seals and birds. Head past East Point and to the southern coastline of the island, where there are endless camping opportunities. There are only a few water sources on Santa Rosa, so make sure all your hiking and camping spots consider when and where to get water. The main campground at Water Canyon has a water tap. The next closest is on the southern coastline along the ridgeline. There is water located up the ridge from Ford Point near the intersection of the Water Canyon Trail and San Augustine Canyon. This water is not potable. Make sure to filter all water. This is a 6-mile hike from East Point. From Southeast Anchorage, you can detour on a coastal trail to Skunk Point. This beautiful sandbar and dunes at the end of the island are off-limits for camping but well worth a stop. We luckily also were able to see a recent shipwreck that occurred just a week earlier.